In 1943, 22-year-old Nina Raff gets the devastating news that her Army pilot husband has been killed in action. With her world upended, she quits her job, moves across the country and plunges into a powerless and abusive marriage to a man who forbids any mention of her first husband. The past stays buried for the next twenty years…until their teenage daughter finds a picture of her mother as a bride. Then a story of heartbreaking loss, family secrets, breaking free and the indelible bonds of true love come tumbling out. $0.99 on Kindle. 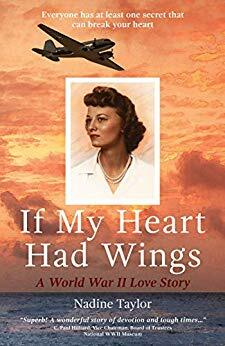 "If My Heart Had Wings: A World War II Love Story" was first posted on freebookpromotions.com on April 04th, 2019. Each day we feature new free and discounted Kindle books in the Historical Fiction genre as well as all other genres.